A flavor to please everyone on your list! We’ve put together a delicious combination of our traditional 22 oz. 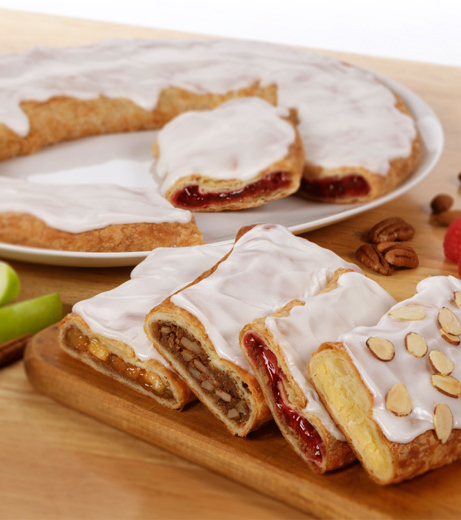 oval Kringles in 4 of our top selling flavors: Pecan, Almond, Raspberry, and Apple-Cinnamon. 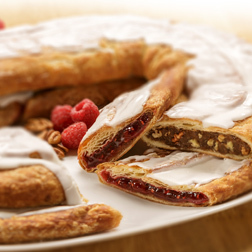 Perfect for any Kringle lover!